Sony securing the Red Dead Redemption II marketing deal likely did a lot for the PlayStation 4’s good fortunes this past year. Part of that deal included exclusive content, which means content that isn’t on Xbox One, to entice people to buy the game on the PS4. Whether or not anyone actually bought Red Dead on the PS4 because of this stuff is debatable, but those items are now available for Xbox One owners to decide for themselves. 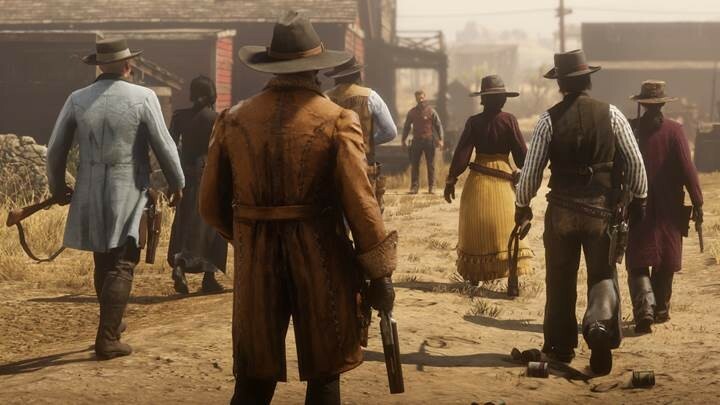 As part of today’s Red Dead Online update, which includes a battle royale mode, Rockstar tucked away a small note indicating that the previously locked-away items are now unleashed on Xbox One. “Xbox One players can also now access the Red Chestnut Arabian Horse, Alligator Skin Ranch Cutter Saddle and the High Roller Double-Action Revolver in the Red Dead Online Beta,” the update notes read. So you can finally take those items for a spin in Red Dead Online, all the better to show off with when you get whatever the old west equivalent of a chicken dinner might be. I imagine it’s still a chicken dinner, but I’m not a historian.